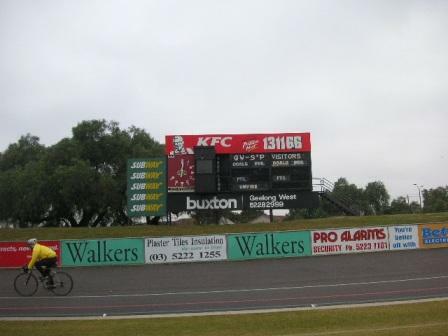 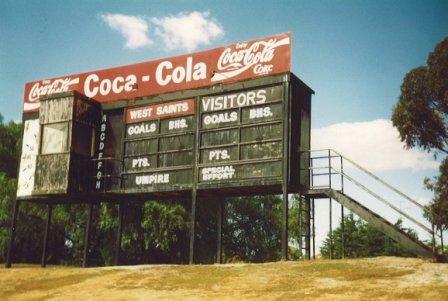 The scoreboard at the Church Street end of West Oval hasn’t changed much since Jeff Lawton took this photo in 1993 or so. 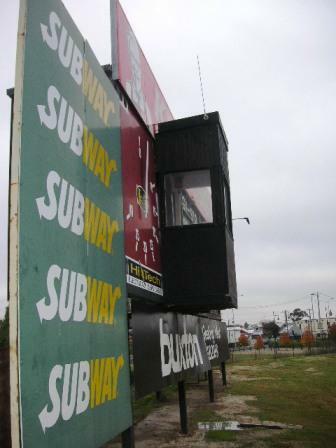 It still has a red and white sponsor’s sign (different multinational) and it still has that curious Tardis-like box that presumably gives the scoreboard attendant an unhindered view. 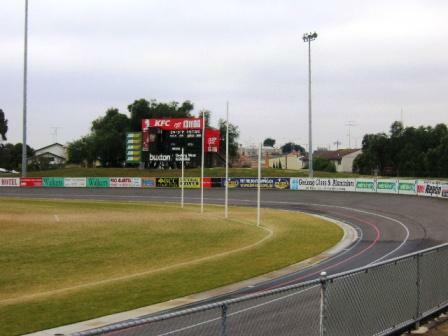 Geelong West’s heyday was in the VFA in the 1970s, when Billy Goggin was coaching and Joe Radojevic was kicking bags of goals. 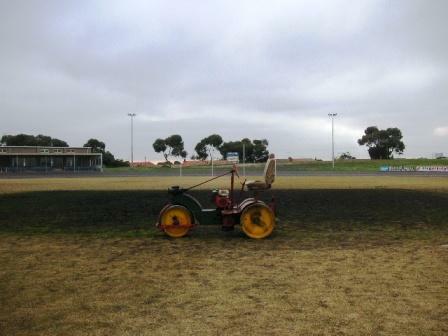 The ground is distinguished by its cycling track, which is still very much in use. 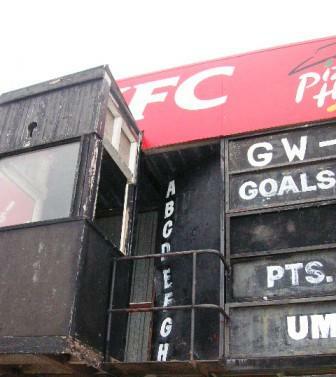 There’s a very good history of the Roosters and the West Saints on the club’s website.